Sometimes, the steady presence of a friend in our lives makes us feel grounded and secure. Lizette Carlos is slowly becoming that rock for her Walk With Sally mentee, Naivy Vargas. The two were paired together eight months ago, and Lizette has been there for 13-year-old Naivy as her mom goes through cancer treatment. They go to the park and play basketball, see movies and grab ice cream. Lizette even attended Naivy’s 8th grade graduation ceremony. It’s the time together that matters most, and it’s taken some time for Naivy to share what she’s really going through. “The first time she really opened up a lot was when we went to a Dodger’s game two months ago this year. She started sharing a lot, and I was very excited.” Lizette said. After the Dodger’s game, Naivy’s mom texted Lizette. 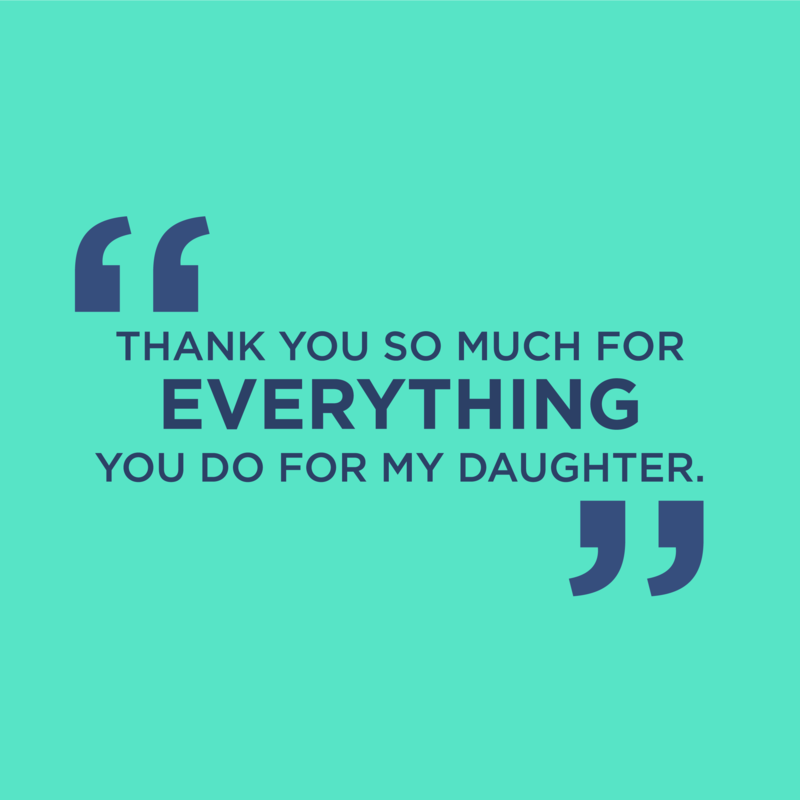 “Thank you so much for everything you do for my daughter,” the text read. “She was so grateful,” Lizette said with a smile. Lizette’s own life has been touched by cancer in so many ways. Her aunt is currently battling cancer and her grandpa and uncle have both passed away from cancer. When Lizette’s two little cousins told her about how much they loved their Walk With Sally mentors, she decided she wanted to give back by becoming a Walk With Sally mentor too. This entry was posted in Impact Stories, Mentors & Mentees and tagged 2016, friendship, Lizette & Naivy, Mentee, Mentor.